Relievers compared to Strasburg (Hardball Times). Sean Smith notes statistical similarities between Stephen Strasburg and several former closers, including current idiot/broadcaster Rob Dibble. Interestingly, from a stuff standpoint, Dibble is the first pitcher that came to mind when I saw Strasburg at SDSU. I really hope Stras makes a full recovery; the last pitcher I saw dominate with two power pitches like that was — and I hope I’m not jinxing him by saying this — Kerry Wood. Matusz Putting Together a Strong Finish (FanGraphs). Meanwhile, here’s some encouraging news about the left-hander from San Diego’s other (read “better”) baseball program. Latos must be part of any Cy Young conversation (U-T). Tim Sullivan joins in the chorus of praise. Is Mat Latos better than Jake Peavy? (Sacrifice Bunt). I love these kinds of questions. As I’ve noted elsewhere, Latos is way ahead of Peavy at a similar stage of development. Good stuff from Ray and the gang. Davis loses no-hit bid in eighth (MiLB.com). San Antonio right-hander Erik Davis surrendered just one single against Corpus Christi on Sunday. Bonus points for rockin’ the sweet goggles. This came a day after teammate Matt Clark hit for the cycle. 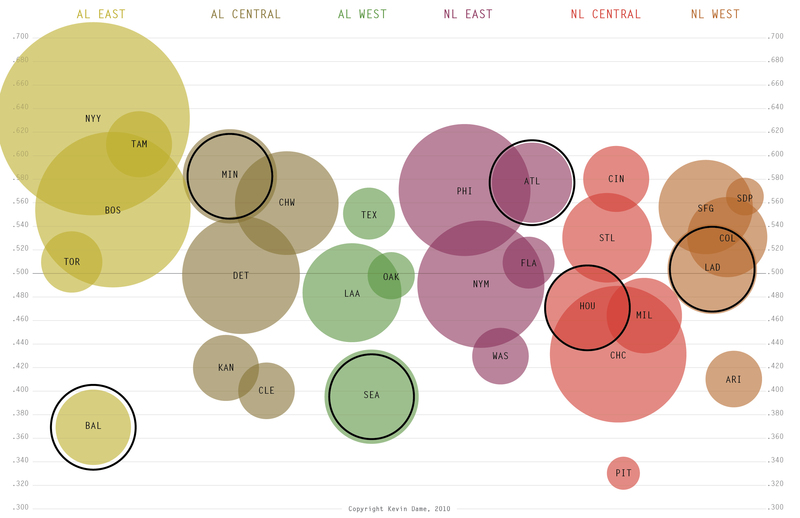 The Death of Baseball in Portland (FanGraphs). Maury Brown offers his take on the situation. Adios Beaver Baseball (Gaslamp Ball). The Kipper provides a nice pictorial sendoff. Happy Labor Day (Inside the Padres). Tom Krasovic writes: “It’s often said that the Padres aren’t playing the caliber of baseball they had played in building up a 76-49 record. I agree with the substance of that view, but I think it gets overstated. Several times, probably at least 10, I watched the Padres win a game this year and thought they played a bad game.” Of course, the same can be said of most teams in most seasons. Why hit Hundley eighth? (Padres Trail). Mike would like to see Nick Hundley bat higher in the lineup, maybe even a lot higher. Don’t Count Out the Rockies (FanGraphs). Trust me, we’re not. Trevor Hoffman’s 600th Save More Cause to Celebrate His Sterling Career (FanHouse). Kras pays tribute to the former Padres closer. So does the current Padres closer. Neyer hopes Hoffman will retire with exactly 600 saves. The 1970 San Diego Padres (Hardball Times). Here’s an oldie-but-goodie from Steve Treder. Wednesday Graph: Major League Chernoff Faces (Bay City Ball). This is one of the coolest things I’ve seen in a while. FIELDf/x is going to change everything (SweetSpot). Neyer talks about the Next Big Thing in defensive metrics. PITCHf/x Summit 2010 Recap (Baseball Analysts). Dave Allen delivers the goods. The good face, the halo, and projectability (Hardball Times). I forget why I included this… probably the Malcolm Gladwell reference. Stupid Garland and his comment while not holding up his end in this game, walking batters and giving up extra base hits. Next time shut up and do your job. After the game, he seems to realize that he didn’t give the team a chance to compete. What’s with all the home runs in that game? In addition to telling the media that he felt largely responsibilities for the Brewers’ poor season, he also apologized to his teammates in a brief team meeting during the aftermath of save No. 600 in which teammates Prince Fielder, Ryan Braun, and Todd Coffey carried him off the field at Miller Park. Melvin said he got chills listening to Hoffman briefly address his teammates.